Under the leadership of John Culpepper , our Express Athens and Covington offices have successfully matched Employers with local Job Seekers , since 2006 ( Athens ) and 2011 ( Covington )! By offering top-notch staffing solutions, we are able to contribute to our local businesses, which in turn, provides a variety of excellent employment opportunities to the Athens and Covington areas. Through our local experience with our communities and our international backing, we are able to be Athens and Covington's best staffing agencies. Founded in 1983, Express today employs 500,000 people across nearly 800 franchise locations worldwide. Our long-term goal is at the heart of our company's vision, to help as many people as possible find good jobs by helping as many clients as possible find good people. Getting Athens and Covington Back to Work! At Express, we have the ambitious goal of getting ONE MILLION people back into the workforce, a year, and it all starts with the Athens and Covington communities! Part of being your first choice staffing agency is working on bridging the gap between local Employers and Job Seekers so that they can be successfully paired up with the best matches possible. Since 2006 and 2011, Athens and Covington’s certified staffing consultants have been working with different industries to provide a wide range of excellent services, some of which include: evaluation hires, flexible staffing, temporary staffing, professional and executive recruitment, and short-term and long-term contract staffing. With access to these industries and services, we are able to provide you with the ‘just-in-time” workforce that your businesses deserve. 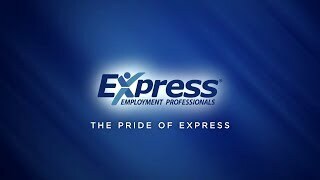 Our Athens and Covington offices are very proud to be a part of an internationally recognized and award winning franchise that is Express Employment Professionals. With Express, you get the two-in-one experience of reaping the benefits of the nearly endless resources that an international corporation can provide, but still have the feeling of working with a locally owned business that is knowledgeable of your community and cares deeply about the success of everyone within it. The application process is pretty straightforward; we use our four-step hiring process to help you discover your next short-term, long-term, or temporary job. Call us today to further inquire on how our team can provide the best fitting staffing solution for you or your business. There are educational opportunities that you can get involved with that will provide you with useful and relevant information geared to help you thrive in workplace, like our annual Refresh Leadership Live Simulcast and other webinars with topics like, “Employee Morale and Engagement”, “Communicating With and Getting the Most From Your Employees”, and “Conflict Management” - all which are offered to you free of charge! We also have our Lunch N’ Learn programs which can be done in the office and cover a wide range of topics, such as “How to be the Employee Your Employer Can’t Live Without,” “Generations in the Workforce,” “Learn to Lead,” as well as others - also FREE. Contact Express Athens or Express Covington to have your area’s choice staffing agency meet your hiring needs! We are a diverse team focused on enhancing people's lives, one job at a time! To create and and implement a sales centric environment where every Express Associate's value can be discovered and presented to clients with the combined purpose of increasing hours billed, Associates paid, and better lives in our community!